You know what they say, knowledge is power, and our analysis can give you that knowledge. When website performance isn’t quite what you’re expecting, we can take a close look under the hood to get a clear understanding of your what’s going on. 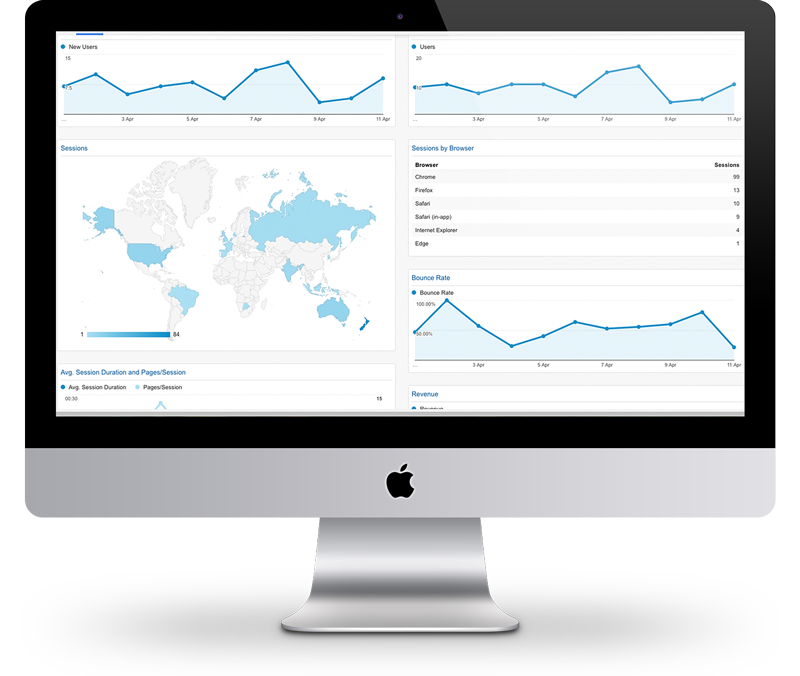 Performance, search rankings, site health, traffic, user behaviour, and your industry competitors are just some of the components we can investigate and report on for your business. We will get the right information to you, so you can make informed decisions about developments now, and into the future.